*5 BAR KIT* Professional crack stitching kit with everything needed for repairing cracks in walls. Suitable for use in stitching all types of cracked brick, block and masonry. High tensile crack stitching bars are bonded into slots made in masonry to stitch across cracks in walls. 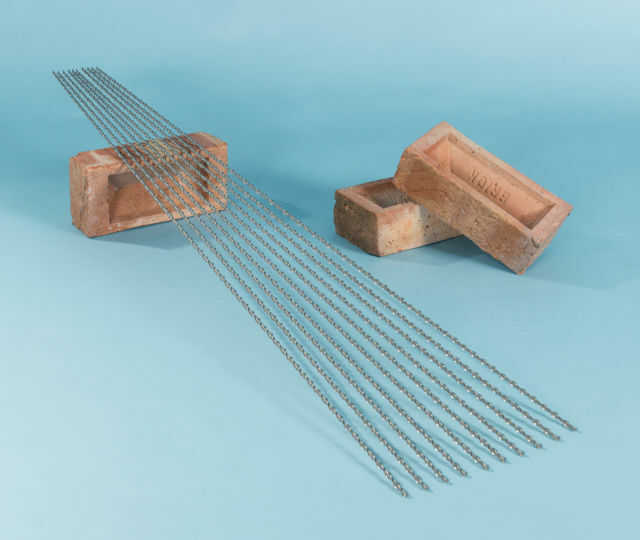 Tensile forces are redistributed along the full 1m length of the 6mm diameter stainless steel reinforcement bars to stabilise and strengthen the wall. Crack stitching walls is a cost effective remedy for repairing cracked brickwork and masonry. 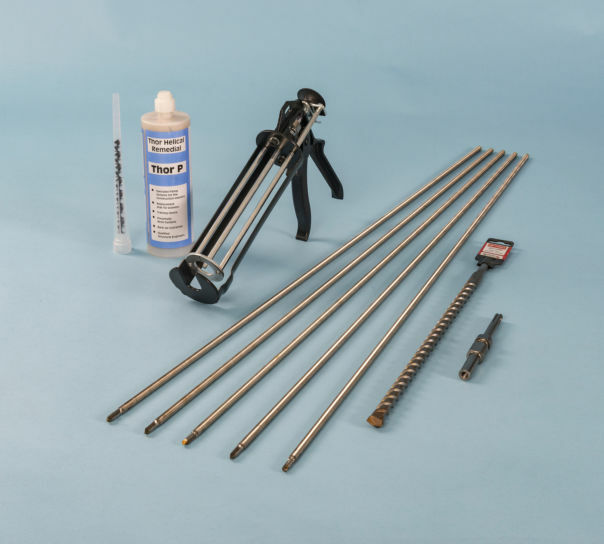 Select the standard kit for 10 crack stitching bars and 3L grout or the mini kit for 5 helical reinforcement bars and 1.5L of grout. Item was ordered over the phone, and the sales person was friendly and helpful. Item was delivered quickly and I also got a text confirmation of delivery date and time. Overall very impressed and would recommend to anyone. very friendly and helpful staff great next day quick delivery of the kit. Very pleased. 4. Repair and admire. !! My husband has used this and it was so easy to use , thanks for all the advise , will come back and buy again. 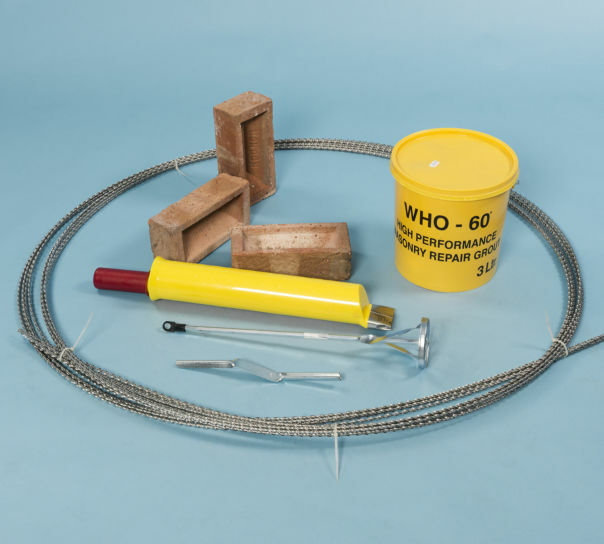 A lintel repair kit for professional masonry rein­for­cement. Helical bars span windows openings up to 2.5m wide to support brickwork above. Buy a 'Complete Kit' or a '14m Bars & Grout Only' kit.